In a prior blog titled, “What To Do With A Denied VA Application - Part 1" I discussed what you should consider when a VA application is denied and the merit of pursuing an appeal despite the time it can take to prevail. Today’s blog will describe the appeal process as initiated by the Notice of Disagreement (NOD), the formal way to submit a claimant’s disagreement with a VA determination. While a Notice of Disagreement can be drafted in the form of a letter or on a 21-4138, “Statement in Support of a Claim,” there is an official VA 21-0958, “Notice of Disagreement” form that was introduced in 2013. The latest 2015 version of this form can be found at the VA Forms web page http://www.va.gov/vaforms/. As of March 24, 2015, this form is required to appeal a Service Connected Disability claim, but it is not required to appeal a Non-Service Connected Disability claim. The terms of the form suggest that it is geared more towards service-connected disability claims; however, it can be used for non-service-connected disability claims as well. Once you have timely filed the NOD, which is within one year from the date on the initial decision letter, the VA will respond with a letter requesting that you select what form of the appeal process you prefer. There are 2 forms of the appeal process at this stage: the Post Decision Review Process and the Traditional Appeal process. You must make this election within 60 days from the date on this letter or your appeal will default to the Traditional Appeal process. The Post Decision Review Process involves the assignment of a Decision Review Officer (DRO) at your regional VA office who will completely review the claims folder as well as any information from the authorized representative. The Traditional appeal process is a review by a VA staff member at the pension management center. In either case, more information may be requested. The Post Decision Review Process is the preferred appeals method as it make be quicker than the Traditional Appeal Process and relies on the greater expertise and experience of the Decision Review Officer to identify adjudication errors. Regardless of which appeals process you elect, the next step would receiving either an approval or, if not approved, a Statement of the Case (SOC). The SOC is an often, lengthy statement summarizing the VA’s decision and the evidence on which the decision was based as well as providing relevant legal citations. To continue the appeal after receiving the SOC, you must file VA form 9, “Appeal to Board of Veterans’ Appeals” within 60 days from the date of the Statement of the Case. At this level you have the option of requesting a hearing before the BVA, although this will easily extend the processing of your appeal beyond 3 years to 5, or even 7, years depending on the form of hearing. The appeal process is not difficult in terms of what you need to fill out and when you need to file it. The difficulty lies in managing a process where long periods of time are spent waiting for a response from the VA, punctuated by whirlwinds of activity when you must request and receive information and documentation from your client to draft and submit a response to the VA within a short period of time, regardless of what else may already be on your desk. That is why it is important that your client inform you of any correspondence that they may receive in case you do not receive a copy and that deadlines are scheduled in your firm management system so that they are not missed. Such precautions are the only way to increase the likelihood that your appeals will succeed. If you want to learn more about Veteran Benefits Planning for you estate and elder law practice, join us June 1st - 3rd for our Practice With Purpose Program. It will teach you not just all you need to know about VA Benefits, but also Asset Protection Planning and Medicaid Planning! If You Practice in Today's Estate Planning Environment, You Won't Want to Miss This! Join some of your most successful and forward-thinking peers from around the country at this program where we will discuss, discover, and provide solutions for Asset Protection, Medicaid. & VA Benefits Planning. Register today to reserve you spot! This event will sell out. By Sabrina A. Scott, Paralegal, The Elder & Disability Law Firm of Victoria L. Collier, PC and Production Coordinator for Lawyers for Wartime Veterans, LLC. Victoria L. Collier, Veteran of the United States Air Force, 1989-1995 and United States Army Reserves, 2001-2004. Victoria is a Certified Elder Law Attorney through the National Elder Law Foundation, Chair, National Academy of Elder Law Attorney’s VA Task Force, Author of 47 Secret Veterans Benefits for Seniors, Author of Paying for Long Term Care: Financial Help for Wartime Veterans: The VA Aid & Attendance Benefit, Founder of The Elder & Disability Law Firm of Victoria L. Collier, PC, Co-Founder of Lawyers With Purpose, LLC. You gathered all the necessary supporting documents. You confirmed that your clients meets the income and asset eligibility limitations. You completed all the forms. You obtained all the necessary signatures. You have dotted every “i” and crossed every “t”. You have filed your fully-developed VA claim with the appropriate pension center and have confirmed receipt. Now you just sit back and wait for the approval letter and your client’s praises to rain down on you right? Most of the time, yes, but not always. It can be discouraging when you get a denial letter, especially when you know the claimant is eligible and should have been approved. What’s the next step? First, read the reason given for the denial and determine whether it is accurate. Denials may be due to an error in adjudication, but they can also be legitimate denials based on unknown, additional income and/or assets. Once you determine that a denial is, in fact, in error, then an appeal is warranted even if they are notoriously lengthy ordeals stretching into 2 – 4 years. The first level of appeal in VA parlance is known as a Notice of Disagreement (NOD). You have one year from the date of the decision letter to file a notice of disagreement. There is no particular form for the NOD; a letter or filing VA Form 21-4138, Statement in Support of Claim, declaring that you are filing an NOD is sufficient. There is however another, lesser-known step before the NOD and this is a Request for Reconsideration (RFR). A request for reconsideration involves new evidence or perhaps evidence already submitted but not considered by the VA. The objective is for the pension center to re-open the decided claim and reconsider their decision in the light of this new evidence. RFRs are generally processed much quicker than appeals as they stay in the pension center where the claim was originally adjudicated. Again, there is no particular form that is used for the RFR. A letter or statement on VA Form 21-4138 can be submitted requesting reconsideration along with the additional evidence that you would like the VA to reconsider. However the disadvantage of the RFR, is that if it does take more than a year for reconsideration, you miss the window of opportunity for filing the appeal. For this reason Victoria Collier, CELA, and co-founder of Lawyers With Purpose, recommends filing a statement that includes both an NOD and an RFR. Best case scenario: Your claim is reconsidered and corrected within a relatively quicker time frame. Worst case scenario: the NOD begins the appeal process. More details regarding the appeals process will be provided in a future blog titled, “VA Application DENIED – How You Should Appeal”. Appeals take a while, but they are worth it when you have a legitimate claim. A recent example from The Elder & Disability Law Firm of Victoria L. Collier, PC makes this clear. The claimant in this case was a married vet who was approved for VA Improved Pension, but for less money than expected and warranted due to his deductible medical expenses. We filed a Notice of Disagreement and a Request for Reconsideration on September 13, 2011. The award, granting all benefits sought on appeal, was dated February 6, 2015 – more than 3 years later. A happy ending despite the time and trouble that the appeal can take. If you want to learn more about VA Benefits Planning to build or enhance your existing estate or elder law practice join us for 2.5 days and learn all you need to know about Asset Protection, Medicaid & VA at our Practice With Purpose Program. If you practice in today's estate panning environment, you do not want to miss this! Join some of your most successful and forward-thinking peers from around the country at this program where we will discuss, discover, and provide solutions for Asset Protection, Medicaid & VA Benefits Planning. On Saturday, January 24, 2015 I received a text message from my employer, Victoria Collier. Though not unheard of, it was strange for her to text me on the weekend unless I had planned to work. However, she had been out of town on Thursday and Friday and I imagined that she wanted to get a head start on something for the coming week. Her text message simply read, “VA has issued the proposed look-back change in laws. Public comment period open 60 days.” By now you may know of RIN 2900-AO73, the proposed VA rules regarding net worth, asset transfers, and income exclusions for needs-based benefits and the potential impact that this will have for VA planning, found at www.regulations.gov. So as a paralegal, what did this mean to me? It had a lot to do with me. In response to the proposed rule, the first step in the process was to discuss when and how this may affect our clients. The next action was to provide the attorney with an updated list of all of our pending VA claims – those we had filed fully developed claims or informal claims and those we had not yet filed anything with the VA – and especially to identify which of those involved transfers of assets as defined by the VA. Then we prioritized the claims that had not yet been filed and set a goal to file as many of those as we could by the end of February 2015, to lock in a March 1, 2015 eligibility date in an effort to beat any possible effective date of the rule changes. The second step in our process was to inform our clients with pending VA claims of the proposed changes. While we could not provide them with definitive answers, we could assure them that we were aware of what was going on and that we would be doing our utmost to complete, file, and follow up with their claim in the face of this potential game-changer. This communication also enlisted our clients in actively participating in the process as it urged them to gather outstanding documents that we still needed to verify and file the claim as expeditiously as possible. The final step was the actual completion of all the unfiled VA claims. This meant an incredible ramp up of our usual production, all while accepting new clients in the process. Whether it meant working directly on the claims themselves or supporting those producing the claims by assisting them with other tasks, the office as a team had to cooperate in order for the firm to produce this unusual volume of VA claims within a matter of 30 days. Did we accomplish all of this just because of the proposed rule change? Yes and no. We definitely wanted to protect our clients in the best way possible, thus extra time was put in. However, because of the team atmosphere and the Lawyers with Purpose workflow systems, we were able to efficiently complete and file four times as many claims as usual in one month. Anticipate the next action or step necessary and make efforts to complete. In this way, not only do you support the attorney by thinking one step ahead of them, your questions also inform the attorney of possible gaps in your knowledge that require the attorney, in turn, to support the team with further training. Teams can accomplish nearly impossible feats when working together with the same goal. If you are interested in learning more about Lawyers With Purpose, join our Having the Time To Have It All webinar on Monday at 8 EDT. Click here to register. In this one hour webinar, you will learn how all entrepreneurs have the same amount of time in the day and how they use it differently. It will give you the confidence and path to create a law practice that provides estate planning, elder law, asset protection, Medicaid, veterans benefits, special needs, and tax planning in a way that helps your clients and your community! Most importantly, you will be able to ensure your clients are able to maintain their dignity as they age and protect the assets they have worked their whole life for. If you're passionate about helping people, reserve your space for this one hour webinar essential to help you break through your time restrictions to help more people and create more value! Just register above to reserve your seat... it's 100% FREE! The Tri-Annual Practice Enhancement Retreat is right around the corner and will bring together the most brilliant minds in the estate planning arena for five full days! We would say “Save The Date” but what you really need to do is grab your spot NOW. You can either hear about the event after it’s over, or you can join your community of LWP members and their teams, “front and center” and take advantage of this opportunity to participate, network and learn in the room. CLICK HERE for the full agenda and CLICK HERE for the registration form. Complete and return the registration to kruss@lawyerswithpurpose.com now to reserve your firm’s seat by 4/15 and qualify for a chance to win one of our early bird prizes. Pssst….. Look real close at the full agenda. We’ve made some changes to the program and have included some stuff that we’re really excited to bring to the community. "Close your eyes & jump! The LWP Process will catch you." "Hard to explain, but it is a way to practice the law, and have a life that can be all you want it to be." In our previous post Getting Smart With Your Law Firm Marketing Budget - Part 1 we discussed how to cut your marketing budget, and also how not to. Now let’s think about some cost-effective marketing strategies that we all should be doing! If your customers are active on social media, then you should be too. When marketing dollars are low, bump up the time and resources you allocate to Facebook, Twitter, and LinkedIn. Claim your business listing on sites like Google Places, Yelp and Yahoo Local. Make sure you monitor those sites and respond to any review. Start a blog, or reinvigorate your existing one. This costs you only your time. I know time is important, but it is a resource, and if you aren’t spending money on marketing, you’ve got to be spending time. 2) Use the Power of Referrals and Don’t Be Afraid To ASK! Referrals are free and a great tool for spreading the word about your business. Make certain you are asking your clients for them at your synergy meetings and strategy meetings. Run a promotion for “friends of our family” – start a marketing campaign to get existing clients you like and enjoy working with to refer to you. Reach out to them and tell them that, because you like them, you are willing to give “X” to anyone they refer, either a family member or a friend who contacts you within 48 hours, and then decide what that offering is. Maybe it’s a complementary year on your maintenance plan or DocuBank. Be creative and show value to get that phone to ring. I say to offer this to clients you enjoy because people hang with people like them. Just make sure you have a clear offering and a timeline attached to it. That will get action. I often see logos with fancy taglines that say something like “helping families pass on their legacy.” What do you think that means to people exposed to your brand or logo? What if they had no clue what you do and just saw your firm name (say for example it’s Law Offices of Joe Smith) with that tagline? Do you think they would know exactly what you do, and all that you do? Instead, say something like “helping your family with their estate planning goals” or just “the estate planning professional for your family.” Sometimes too fancy doesn’t connect or resonate. So ask yourself, how can you refine your tagline – or any other strategy you have – to strengthen your marketing message and grow revenue? Another low-cost but high-profile approach that works well for small businesses is getting involved with community events and programs. We have a listing on our members site of national events by month. Look at it, and find some events where you can reach out to your community and support them. A business that is active in the community often wins the hearts and minds of consumers. Plus, it’s often easier on your pocketbook than other marketing programs. If any tactics aren’t working for you, don’t be afraid or hesitant to cut them. I know we push hard for a six-month commitment before you cut so you can verify that it’s not working. I had a member tell me his ad wasn’t doing anything. He only got a “few calls” for his workshop from it, so he was pulling the ad. However, he also wasn’t doing any reporting, so those two calls were probably more like four. I encouraged him not to cut it, because if you get two calls and you aren’t tracking, then you can probably truly allocate more than that number off the top of your head. He cut the ad at four months, and in month five, he had people calling for his workshop from his ad. Pulling that ad hurt him, and he lost traction. I also had a member who, at the fourth month of his newspaper ad, had not one call. Zero calls, and he WAS tracking. We had to stop the bleeding and decided that the demographic may not be ideal where he was. We put that money toward marketing online and got some leads. And we started focusing more on RMS and filling his pipeline. So you have got to evaluate often, and if you are seeing any movement whatsoever, stick with the program AND REVIEW YOUR REPORTING before making your final decision. If you want to know more about what Lawyers With Purpose has to offer, please join us Monday at 8 EST for our free Having The Time To Have It All webinar. When cash flow is tight and times are tough, one of the first things people do is look for ways to cut the marketing budget. People typically cut marketing budgets for one simple reason – they don't have the money to spend. But it’s always important to cut for the right reasons. “I’m short of funds" is not a marketing reason. From a marketer’s perspective, the welfare of the company depends on the marketing budget. You have got to be spending time, if not money, to market your practice. If you are cutting that budget only to reduce costs, then you need to decide what to do with your wholesale to fill your pipeline. So how do you measure the worth of your existing marketing activities and know what you should cut? Or how do you defend how you are spending your marketing dollars? Here are some things to consider about your marketing budget. First, only spend what you can. You don’t need to do any more than that. Decide what that amount is going to be and commit to it for six months. I did a marketing roundtable call in December about how to determine your spend. How do you arrive at that number? If it is zero, that’s OK, but then you need to be spending 80% of your time on your marketing. You should be doing workshops, professional presentations, synergy meetings, strategy meetings, lunch and learns, etc. Make certain you are doing the follow-up that’s necessary to meet the expectations you’re creating and the promises you’re making in the industry. Or make sure you are rubbing elbows at networking events and getting in front of prospects and power partners. That should be where the majority of your time is being spent. Some of that time should also go toward building your brand by participating in community events. You can’t bring in business just by hanging your shingle and sitting in your office practicing law. You have to market. Second, tracking and reporting is crucial. This isn’t negotiable. Your reporting tracks your efforts, and it shows you whether you are reaching goal and what you are risking. It is a necessary part of your commitment to executing and understanding your marketing; it is required information to know the implications of your reporting at a deep level. It helps you build on what’s working and cut what’s not. A very strong discovery process will uncover gaps and weaknesses, it will bring you new ideas, and it will pull you and your team together in the common set of goals required for your marketing. If you aren’t tracking and reporting and have questions, we do have tools to support you. If you're a Lawyers With Purpose member, just log in to the members website and look under the February retreat; I did a breakout session on the RMS and the reporting. Start there and reach out to me if you have any questions. So let’s talk about some criteria for what you can cut. These are things that may not be working, and any marketer should look for ways to fix them. It’s just good business sense. You can base your cuts on wanting to cut costs, but if funding isn’t the issue, you should still look at some of the ideas below and consider trimming. Do you have any marketing spend that simply isn’t generating a profit, despite concerted efforts and a consistent six-month commitment to it? And I specify six months because that’s the length of time it takes to tell if something is working – results typically show up by the six-month mark in your reporting. If you do something different, like stop promoting your workshops or cut down on your RMS, you will see it around six months after you stop. So if you see any piece that is not generating profit for you by then, we can 100% say you should retire that effort. However, you need to be sure to look at your reporting as a whole: monthly, quarterly and annually. For example, if you got an AP2 from a $100-a-month ad in the local church bulletin, that was worth the monthly fee and axing it doesn’t make sense. But when you’re looking at that item week in and week out without considering the whole picture, it might initially look like something to cut. So make sure you have the whole picture before you cut it. If generating fees outside of estate planning / elder law – assuming this is what you want to focus your practice on – it might be time to step back from such leads, see where they’re coming from and refine your marketing strategy. It’s important to understand your sweet spot or niche and focus on it. Think about referring the work you don’t want to someone else. Build a relationship with that person – a referral relationship. So if you have family law still showing up in your practice, don’t just grab onto it. Find an attorney you feel confident referring to – but have a synergy meeting with them and make sure to build a referral relationship. You refer to them; they refer estate planning and elder law to you! This isn’t easy, I know. I worked in a small boutique firm that did family law and estate planning. The family law came by default, but we decided we didn’t want to do it anymore. Still, every once in a while that retainer was right in front of us and we would cave to reach goal. But one day we decided no more, so we built structure and standards around referring it out. We built referral relationships with another family law firm and asked for estate planning referrals. We found that we were better able to focus our marketing and leverage our efforts. And when you are THE estate or elder law practice, it’s amazing what happens in the industry. You become the go-to, and you can feel confident saying you are the best at what you do. We were able to focus our marketing and not just talk about the things in general that we did, like “living trusts” and “dissolution of marriage” to include the business planning and asset protection, which compensated for that family law that we dropped. And we ended up getting consistent referrals from that family law attorney. Also, if you find that your marketing is bringing in endless requests for negotiating your fees, then it’s time to think again about whether these are the prospects you really want and where they are coming from. You are probably targeting the wrong demographic. Refine the marketing message, move it, or axe it altogether. Why Not to Cut Marketing Budget? Many times, the firms that don’t cut the marketing budget – they just refine, move, tweak, and throw the dollars someplace else – really reap the success. If you analyze successful companies, the one common theme among many of them is the effectiveness of their marketing and advertising. And sometimes, moving backward helps you eventually move forward. It’s not fun, and it’s not painless. Marketing is like casting a net, then letting it sit to see if you catch any fish. If you do, you recast the net, maybe even a bigger net next time! But if you don’t, pick up the net and throw it someplace else. If you know something is working, do not cut it – power through it and invest in the spend. Work your wholesale and community outreach to drive some revenue to compensate for the retail that may not initially be delivering an ROI. After more than 20 years in the industry, I have learned one certainty: Marketing budgets at most law firms are the most unloved of all budgets. When not reaching goal, we huddle around them, trying to determine which expenses are likely to have the biggest impact on growing the top and bottom lines. But it’s always important to make cuts for the right reasons, and the right reasons usually aren’t commercial reasons, they’re marketing reasons. Our next post will address which marketing strategies are the most cost-effective. In typical lawyer fashion, the answer is, it depends. 42 USC Section 1396(b)(c)(1)(G)(ii) provides for annuity to be actuarial sound, and not considered an uncompensated transfer, the annuity must pay out over the life expectancy of the annuitant "in accordance with the actuarial publications of the Office of the Chief Actuary of the Social Security Administration." The same is true when determining the proper payout on a promissory note or mortgage as outlined in 42 USD 1396p (c)(1)(I). How does this differ from the required minimum distribution tables published by the Internal revenue service and what is the relevance? So the proper table to use will depend not on the law, but on which table your Medicaid department uses. While the law is clear that it requires the Social Security tables, many states allow the IRS RMD tables and some states even exempt an annuity if the IRA is simply in a "payout status. Once you are clear on how your state identifies an “actuarially sound” annuity or promissory note, you will have your answer. So, one final responsibility is to ensure when the Social Security tables are used, the amount required to be withdrawn is equal to or more than the minimum amount required by the IRS RMD tables. That ensures a client’s benefits’ planning is also tax compliant. Conversely, if a client is not doing benefits planning, then relying on the IRS RMD tables may result in a lower minimum distribution requirement. If you are not a Lawyers With Purpose member, and would like to know more about who we are and the benefits we can bring to your estate and elder law practice, join our FREE Having The Time To Have It All webinar Monday at 8:00 PM EST. Sometimes the hardest part of doing something, is getting started and knowing where to begin. Imagine if you had a template to guide you through your day. Wouldn't it be easier. The same is true when drafting estate planning. The challenge becomes how to utilize templates, and not become a "mill". I often ask attorneys if you look at the last ten estate plans you've done, what has changed other than the names and the beneficiaries? If you fall into this trap, you may be a "mill" already. So how do you ensure you address all the issues with planning and have the freedom to create custom documents without doubling the time it takes to draft the document? Having a document creation system that meets the needs of creative lawyers, ensures all legal technical requirements of today's planning is addressed requires much more than a "fill-in-the-blank" software program. It actually requires your software to have artificial intelligence. When the LWP document creation system was created, it was created with a client-centered approach. What does that mean? All document creation systems are lawyer centered, that is they ask questions of the lawyer as to what legal provisions they want in the documents. 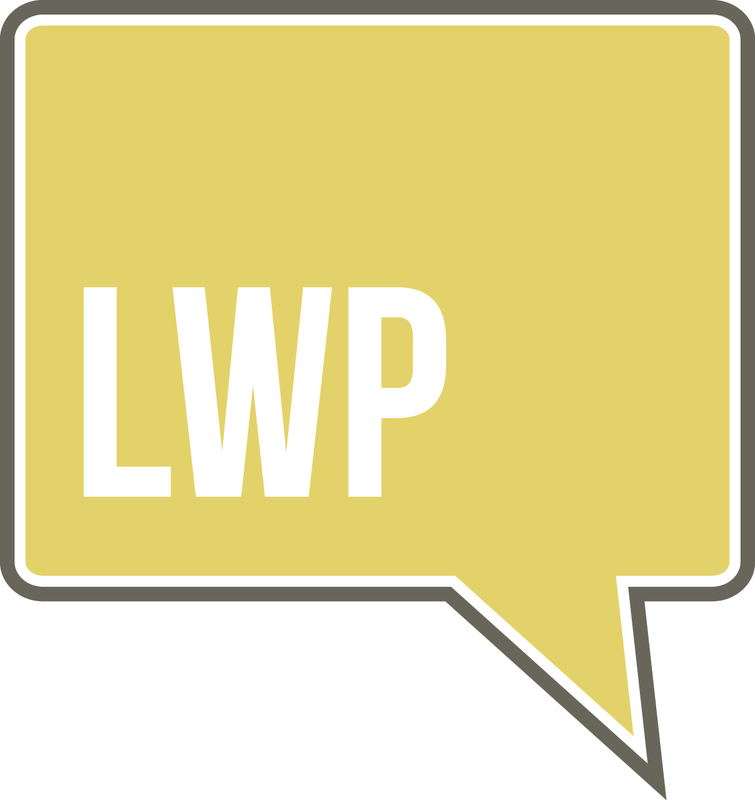 The LWP software was designed in the inverse inquiring of the needs and goals of the client, (estate planning, asset protection, benefits planning, or tax planning), and after identifying the clients personal and financial distinctions, all is entered and the software uses its preset intelligence to integrate all of the proper legal terms into all the various estate planning document to ensure the clients wishes actually occur. Since the software is client centered, a single interview generates all the estate planning documents ( will, HCP, PIA, personal care plan, revocable and irrevocable trusts) that assuring all of them are integrated in all the key needs of the client. The significance of this software is that it knows the questions relevant to each of the four categories of planning a client chooses and has created the decision trees internally to make the drafter of issues they may not have considered or if they choose confliction provisions. The greatest advantage, however is, different choices the client is able to make to be confident in their plan. Perhaps the greatest advantage of the client-centered software is for the attorney is that it has over 4,900 combinations of occurrences and allows the attorney to customize any individual part of the plan. Assume two people are buying a car. While they may both buy the same model, each typically chooses different options on the car. This is how typical estate-planning software works. What makes the LWP software different is it is like going to a web site and choosing a car or an SUV or a pickup truck and then identifying what particular things are important to you on that car and then go through and design every part of it as you deem appropriate. For example you can opt the A package which has power windows and door locks or you can opt to customize the color of the knobs on the radio if you so desire. Sound complicated? Well, it is, if you're the programmer developing the artificial intelligence (already done! ), but it's quite simple if you're the attorney using it. All you need is a template. As you go through the template it helps identify all the triggering events in the decision tree and allows you to use preselected choices most commonly used by attorneys (typically three to five) or allows you to customize any particular provision to your specific desire. Now that's client centered! I get two typical responses from lawyers that use the client-centered software. One is "This software doesn't do X." That typically comes from the attorneys who are unwilling to take the time to become familiar with client centered approach. The other answer we typically receive is holy moly, I cannot believe how much I can do with this software and it’s amazing how it all integrates. It’s amazing! Once you go client centered, you’ll never go back to lawyer centered. If you're a non-member and want to know more about our estate planning drafting software, click here for a live demo of our client centered software. Do you sometimes feel like you're in a rut when it comes to networking and working your Relationship Management System? If so, I hope you joined me along with special guest Dr. Ivan Misner on our past Marketing Roundtable and got a shot in the arm to pump up your RMS. Welcome Dr. Misner for a follow up Special Guest Blog on "Time Equals Money In Networking" which is based on the study he talked about on the Roundtable on how effective your time is spent on networking. The secret to getting more business through networking is . . . spend more time doing it! OK, well, it’s a little more complicated than that because you have to spend time doing the right things. However, based on the Referral Institute study on business networking, we finally have a definitive answer about how the amount of time spent networking impacts the amount of business that is generated. The most dramatic statistic I have found shows that people who said “networking played a role” in their success spent an average of 6.5 hours a week participating in networking activities. On the other hand, the majority of people who claimed that “networking did NOT play a role” in their success spent only 2 hours or less per week developing their network. What does this mean? It means there is a direct correlation between the amount of time you devote to the networking process and the degree of success that you realize from it. To illustrate this further, the graph to the left demonstrates the “average” percentage of business generated from someone’s networking efforts in comparison with the amount of time spent on networking activities. Here you can clearly see that people who are spending between five to nine hours a week networking are generating (on average) 50 percent of their total business from this activity. People who spend, on average, more than 20 hours a week networking are getting almost 70 percent of their business through referrals. Based on this study, it is clear that people who devote six hours a week or more to networking are generating a large percentage of their business through their efforts. So, it’s time to ask yourself . . . how much time are you spending developing your personal network and what kind of results are you starting to see? I would like to personally thank Dr. Misner for taking the time to join us and sharing with us his insights on networking like a professional to grow your practice. Many Medicaid planning practitioners are aware of the rule of halves, but it is an area of confusion for many attorneys newer to the practice. Where does the rule of halves come from? Is it codified? Well, sort of. To understand the rule of halves you have to first understand the Medicaid law and then understand math. 42 USC 1396p (c) (1) (e) provide a penalty period shall be imposed on any individual who transfers assets for less than its fair market value (uncompensated transfer). The law further states the penalty shall be calculated by taking the amount of the uncompensated transfer and dividing it by the average cost of one month's nursing home in the region in which the Medicaid applicant resides. That is all the law states, so the question becomes where does the rule of halves come from? That's where math comes in. In essence in light of the law identified, if you take any amount of money and divide it by two, the half you gave away will create a penalty period equal to what the half kept will pay. If an individual has $100,000.00 of excess assets, and gives half away, the $50,000.00 transfer will create a penalty period that will always equal the period the retained amount will pay thru. Assuming a regional divisor of $5,000.00, the penalty on the $50,000.00 transfer would be 10 months, and the $50,000.00 retained would thereby pay 10 months in a nursing home ($5,000.00). While the rule of halves, in its purest form, makes sense in practice, it's a little more complicated because one of the fallacies in using rule of halves, is it presumes that the regional divisor actually equals the cost of care (even by law it supposed to, it often doesn’t). In the same example if you gave away $50,000.00 in a location the divisor is $5,000.00, it would create a 10-month penalty period, but, if the cost of care was actually $6,000.00, then the $50,000.00 retained would not pay through the 10-month penalty period (you would need $60,000). The federal Medicaid law requires the state to publish at least annually, the average cost of one‑month's private paid nursing home (regional divisor). Each state however, has their own way to calculate this and most facilities are above (rarely below) that regional rate. A few states (Illinois for example) have made the divisor the actual cost of care at the facility where care is being provided. That negates any concerns about the effectiveness of the rule of halves calculations. Finally, when planning using the halves calculation, one must also consider the income of the Medicaid recipient. When a cost of care in excess of the divisor, creates in a shortfall of retained funds needed to pay through any penalty period, failing to take income into account, often creates excess resources for the client at the end of the penalty period, which will render them ineligible. To illustrate, assume again an individual had $100,000.00 excess assets and transferred $50,000.00 with a monthly divisor was $5,000.00. The $50,000.00 transferred would create a 10-month penalty and the $50,000.00 retained would pay through the 10‑month penalty. All other things being the same, at the end of 10 months, with the recipient in a nursing home, they're not spending their monthly income (assume $1,200.00 Social Security) the client would have accumulated an additional $12,000.00 ($1,200.00 a month times 10 months) and have excess resources and therefore not be eligible for Medicaid until additional spend-down and penalty may be created. Proper planning utilizing the rule of halves assumes an analysis of the actual cost of care, the actual regional divisor and the actual income of the recipient are considered. The LWP Medicaid Qualifying software automatically calculates the optimal client assets to transfer and retain considers the actual cost of care, the regional divisor and the clients actual income. To learn more about Lawyers With Purpose and what we have to offer your estate or elder law practice, please join us THIS THURSDAY for our "Having The Time To Have It All... Three Time Strategies To Have A Practice With Profit And Purpose." Click the link for registration information and to reserve your spot now.